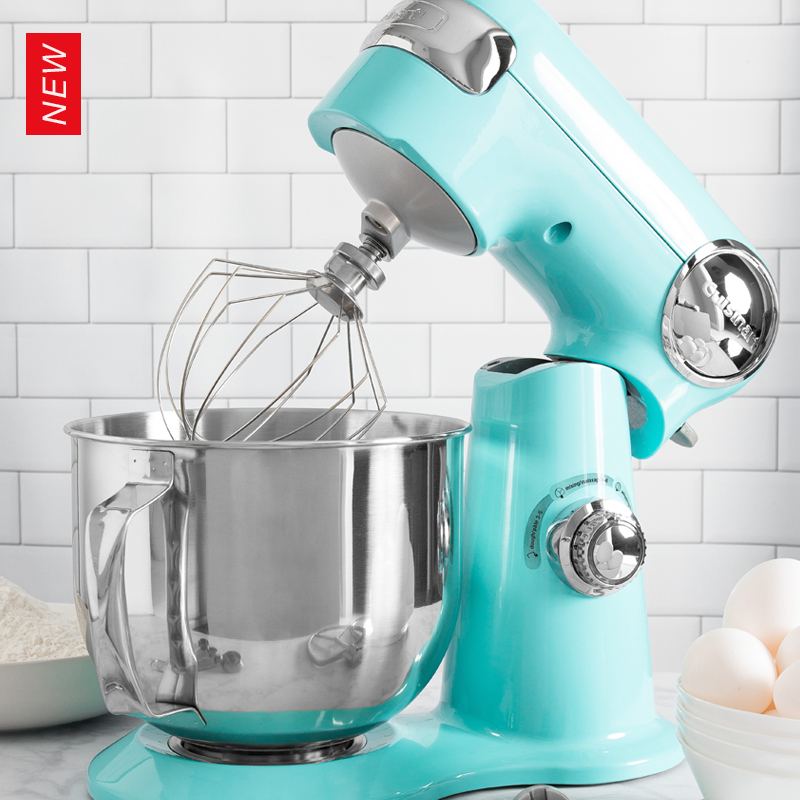 Delivering power, precision and performance, our newest stand mixer features a 500-watt motor, die-cast metal construction, and 12 speeds that allow for nuance and excellence in performing a variety of preparation tasks. 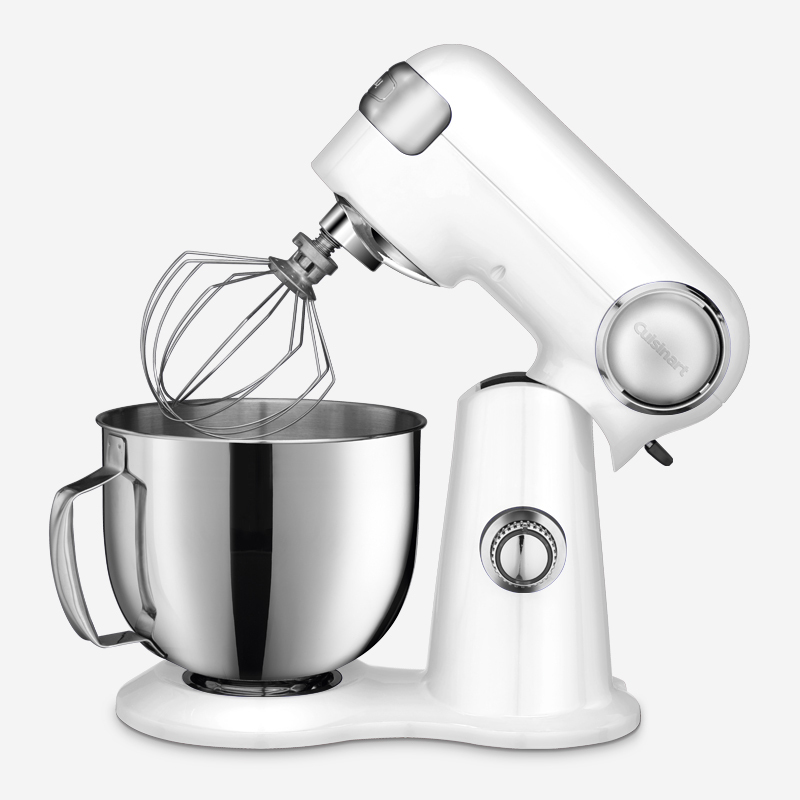 The unit's tilt-back head allows for easy access to its 5.5-quart mixing bowl, while the included splash guard prevents messy countertops. 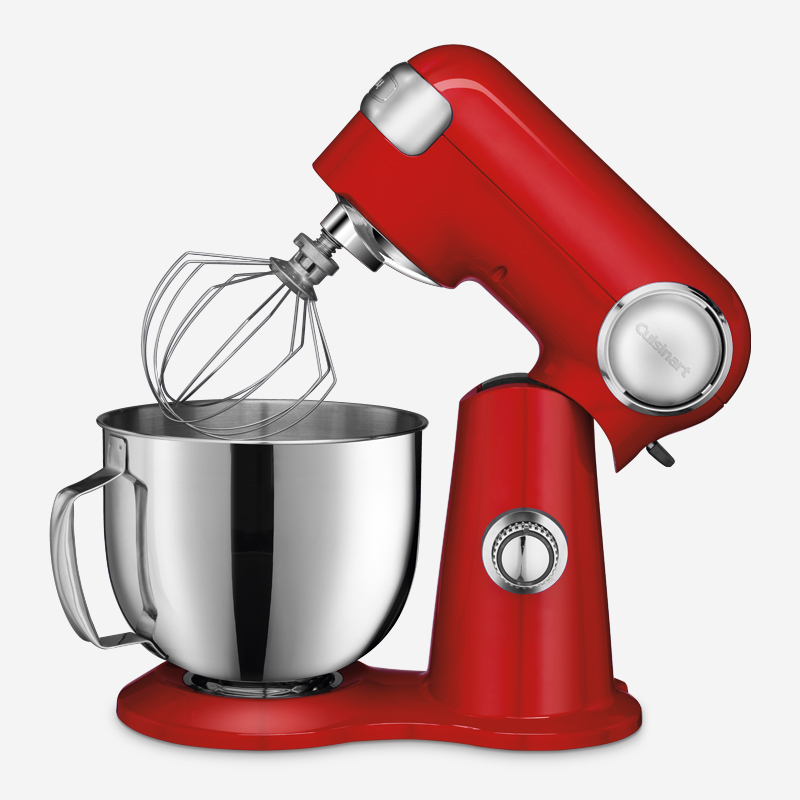 Also included are a chef's whisk, dough hook, and flat mixing paddle. 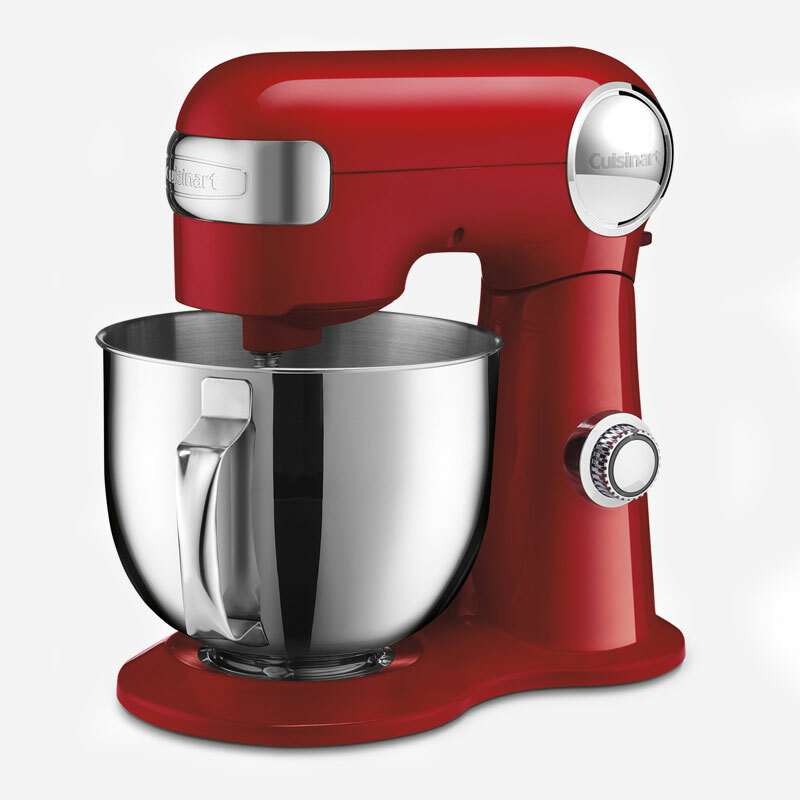 The mixing bowl and all accessories are dishwasher safe, and the stand mixer is available in red, white and brushed chrome. Additionally, you can purchase a variety of attachments for the unit: a pasta roller and cutter, pasta extruder, meat grinder, and frozen dessert maker. 14.17" x 7.87" x 14.13"
16.50" x 11.20" x 15.90"